So you’ve signed up for Thirsty Swagman’s Nordic Rock tour (lucky you! ), and you’re ready to get your drink on up north. You’ve studied up on partying in Reykjavik and have a pretty good grasp on the beer scene in Hamburg, Germany. But how do you make sure you don’t stick out like a sore thumb while you’re drinking in Denmark? Never fear: we’re here to make sure you could pass for Jaime Lannister (yes, actor Nikolaj Coster-Waldau is Danish!) while you’re sipping on your Carlsberg in Copenhagen. 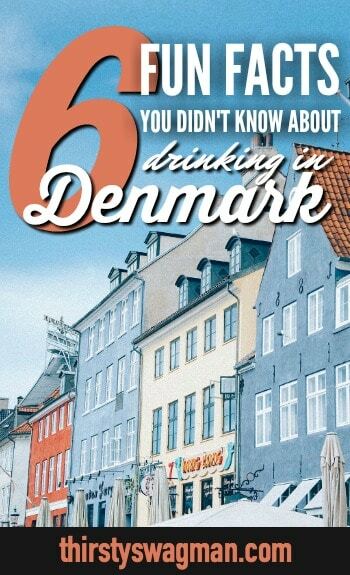 Here are six things you probably didn’t know about drinking in Denmark. There’s no age requirement for drinking alcohol in Denmark. Yes, it’s true that Denmark doesn’t have a legal drinking age requirement. But before you get too excited, know that the Danes do have laws in place to prevent minors from buying alcohol. For example, if you want to buy some Tuborg beer in a store, you’ll have to be at least 16 years old; in fact, that rule applies to buying alcohol between 1.2% to 16.5% ABV in stores. Want to buy akvavit, with its ABV of 37.5%? You’ll be out of luck until you’re 18, when you can purchase alcohol that’s above 16.5% in stores. Plus, to be served alcoholic drinks in restaurants, bars, and clubs, you’ll have to be 18 years old. But hey, if your parents give you a sip of beer at dinner, we won’t judge – and Danes won’t either. It’s socially acceptable for Danish youth to drink alcohol after they’ve been confirmed in the church. Beer will always remain popular in Denmark, but it faces stiff competition from wine. Beer is hugely popular in Denmark and has been part of Danish culture for almost 5,000 years. According to Denmark’s official website, Danes drank roughly 80 liters of beer per person in 2010. However, this is much less than ten years prior, when Danes drank approximately 100 liters of beer per person in 2000. Part of the reason that Danes are drinking less beer is that, surprisingly, wine is becoming more popular in Denmark. The quality of Danish wine, as well as the quantity of Danish winemakers, is steadily increasing. According to this data from the WHO, Danes consumed more wine than beer in 2010. For a country that’s known for Carlsberg beer, who would’ve guessed that would be the case? Certainly not us! “Skål” is the only word you need know when drinking in Denmark. Skål, pronounced like “Skoal” (rhymes with “coal”), is the Danish word for “Cheers” in this case. Say it loud and proud as you toast to your new Danish friends’ good fortune and good health. In addition to “cheers,” skål also means “bowl.” Some legends claim that Vikings would drink wine from bowls made of the skulls of their vanquished enemies. Fortunately for us, there’s no actual evidence to actually back up this claim (phew!). Just be sure to look your friend in the eye when you toast with him or her… just in case. It’s totally fine to drink at 9 AM. You read that right – and you don’t even have to use “Sunday boozy brunch” as an excuse! As it turns out, some Danes drink a thick brown beverage called Gammel Dansk in the morning with their breakfast. Gammel Dansk – a strong, bitter liquor – consists of 29 types of herbs, spices, and flowers (including nutmeg, star anise, and ginger). Despite being around since 1964, however, the recipe still remains a secret. Oh well, you probably won’t be too worried about what it is you’re drinking in Denmark that early in the morning anyway! You’ll want to learn a Danish drinking song or two. Sing, drink, repeat. It’s the real song that never ends. The Danes have a special holiday to celebrate Christmas beer. It’s called “J-Day,” and it’s not on any official calendar. No matter: this widely celebrated holiday in Denmark is the day that Tuborg Brewery releases Julebryg, its annual limited edition Christmas beer. On the first Friday of November at precisely 8:49 pm each year, locals take to the streets and party until the wee hours of the night with said Christmas beer. While it sounds a bit like the infamous Santacon – people in Denmark do dress up with Santa hats and elf costumes, for instance – this day is all about celebrating the coming of Christmas (and the joys of Christmas beer). A country with an actual holiday honoring beer? 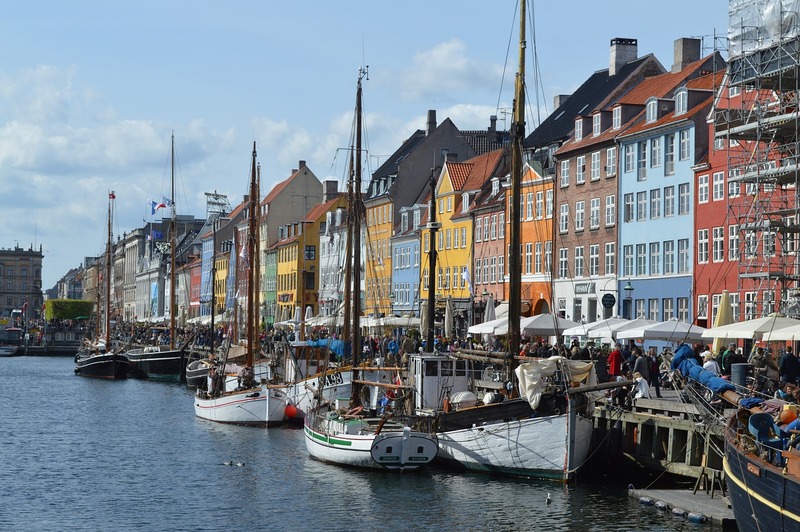 Book us on the next flight so we can start drinking in Denmark, pronto! Ready to sing snaps songs in the bars in Denmark? Claim your spot on our Nordic Rock tour now for 9 nights of epic Scandinavian fun! Skål!